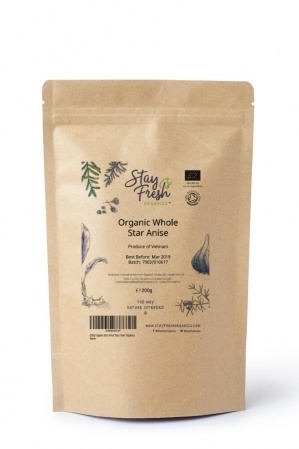 Star anise is the fruit of a small evergreen tree native to many South-East Asian countries. The star-shaped fruits are picked just before ripening and dried before use. 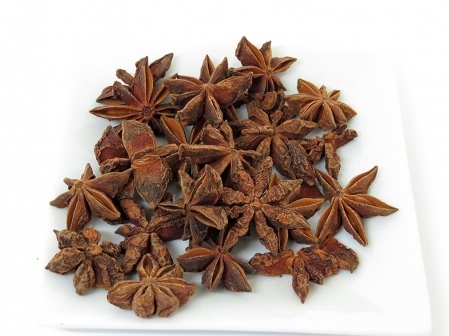 They have an aniseed or licorice-like flavour and are widely used in Chinese cooking. Once dried, our organic whole star anise is hand-packed into an eco-friendly pouch to Stay Fresh for longer. Our packing environment is SALSA certified to meet the highest hygiene standards.